Hire Top Elite HVAC (Heating, Air, Ventilation, Air Conditioning) Contractor Local Reviews and Verified for Heater and Air Conditioner Services and Installations in your area. We are HVAC Experts servicing heating and air conditioning also founders of this Elite Directory. We match property owners with the top local, verified neighborhood cooling company and heating companies that care. For over 30 years, we are and have been in the HVAC business including current heating and air conditioning contractors insurance and license. Years of experience working on boiler, furnace, air conditioner, heat pump, and heaters make it possible to help you with your home HVAC project. We only refer the best heating & cooling companies that meet our strict criteria, the highest standard in the industry. We have no affiliation with these contractors. Now We Help You Hire The Best In Your Service Area! We educate you, answer your questions, provide the best company for you, and protect you. Contact us now for your free estimates on our most popular requests regarding HVAC prices like furnace prices, heat pump prices, air conditioner prices, gas boiler prices and ductless mini split air conditioners. If you need a heater or oil tank removed in PA check out our friends at J&J Environmental Services. Or maybe you need HVAC Services in San Fernando CA, Experience how easy it is to hire safe, quality professionals to solve all your service and installation needs for your heater, air conditioner, and geothermal. We know how busy life can be. Here all your research, verification & approved contractors with the highest criteria along with maintaining the highest rankings in your service area are done for you. Now this is only the beginning! Before You Go Any Further, You Must Watch These Heating and Air Conditioning Scams On Hidden Cameras. Protect yourself from Heating and Air Conditioning Scams- Watch Fox News- first video, A real must see if you are going to hire a Local Contractor. Learn what contractors are charging over $500 per hour. You will learn from each stations undercover camera sting about heating and air conditioning companies. Hard to believe but don’t take our word watch more undercover investigative news heating and air conditioning stings on ABC, CBS, and Dateline. Some contractors, have earned their reputation and many make mistakes as heating contractors or air conditioning contractors and less than 3% meet our demanding criteria. It’s a hard fact that heating and air conditioning service and repair is the #2 trade taught in prisons and the largest education provider for the HVAC industry across the country (plumbing is number 1). Who are you letting in your home or office and around your family? We also believe as a homeowner, you need to not only protect your home, but also your family. 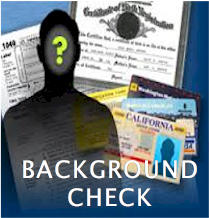 You should always get background checks on any person working on your property or in your home. Child abuse is a separate clearance that may not show up on criminal checks. Your first line of defense is contacting us because part of our criteria check on all employees is done for you. The founder has been heating and air conditioning contractors for over 30 years with current contractors insurance and licenses. Today we understand how frustrating it is to find the right repair company for your system. We help you make it simple and risk-free! Looking for boiler, furnace, air conditioner, heat pump, and heater service experts? Have you had an air conditioning repair or a heating repair and not satisfied? We only refer the top Heating & Cooling Approved company for installations prices, repair, services, and maintenance. 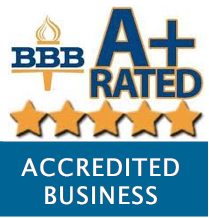 Elite companies for repair and installation have the highest A+ rating with the Bureau, more pre-screening and deeper quality checks. Membership is not required for the customer, there is no risk, and no cost to you in any way. Now you know who to call and hire with 100% satisfaction guaranteed. The Future Of Hiring HVAC Contractors! No Charge to the Homeowner. The Referral is Free and so is the Advice. Look no further for your next contractor and you do not have to join companies like Angie’s, Checkbook or the other national groups today. Here you have Elite Contractors as your advisory working for you. The contractor pays us a very small monthly fee to stay listed. We keep you in control, you know who and what right up front as soon as you search your town it easy, reliable and free. Heating and Air conditioning Prices That Are Not to High, Not to Low, Just right. Including their 100% Satisfaction Guarantee! We have had 30 years in the Heating and Air conditioning business. Our goal is to match homeowners with high-quality contractors that provide fair market value for boiler pricing, furnace pricing, air conditioner pricing, heat pump pricing, and heater pricing. Think of us as your inside people in the industry helping and protecting you with referrals, of course the final research and decision is up to you. If you are ready to move forward with your project within a months time frame our Elite experts will come out to your home and can give you a locked in price. Now for air conditioning and heating installations, service, maintenance, free estimates, and quotes. 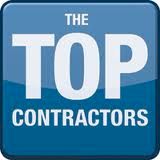 Only the Best HVAC, Heating and Air Conditioning Contractors Services. Every Service Company is Subject to One of the Strictest Quality and Safety Criteria and Ongoing Compliance Checks for HVAC Installations, Service, Maintenance Including Free Estimates. We are the strictest, safest and easiest way to find and hire a top HVAC Companies in your area. Each business must be properly registered, insured and qualified with our complete list of requirements to work with you. Our Referral business for you is based on important research undertaken by the federal Department Of Energy, the Environmental Protection Agency, and electric and gas utilities nationwide. We draw on the resources of heating and cooling equipment manufacturers, distributors and trade associations. We share advice on consumer protection groups, publications and TV investigative news stories their 2 Year Money Back Guarantee and it’s all FREE for you. The Best New Way to Find and Hire an HVAC, Heating and Air Conditioning Contractors, Stress-Free. Authorities all over the news say, be careful. Many homeowners who have invested in new high-efficiency heating and cooling repairs and equipment didn’t get the comfort and energy efficiency they paid for or worst did not need the repair and was overcharged. The new and safe way homeowners are hiring contractors is using our free service. Now we have done all the research for you since we are in the business. If we have a contractor that meets all our criteria they will be listed in the area of service for you. 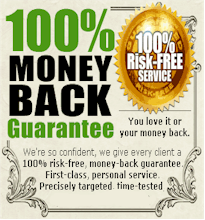 Simple, safe, fair, risk-free and you are in control to contact the best in your area like Granada Hills Los Angeles CA.
. We do not charge a fee it’s free for you. Please Share with Friends and Family. Thank you in advance!